Jordan has been directly involved and actively engaged in the Middle East Peace Process and Reconstruction of Iraq. It is unquestionable that Jordan ’s political and economic stability is crucial to peace in the Middle Eastern region. As establishing peace in the Middle East is very important for Japan as well, Japan supported the projects with cooperation of Jordan to bring benefit to the Middle East countries. 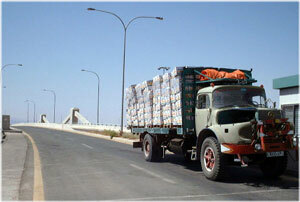 Japan supported the re-building of the Sheikh Hussein Bridge and the King Hussein Bridge . These bridges are expected to contribute to the regional development by enhancing trade, industrial exchanges and promoting tourism. Realizing the importance of the stability of this region, along with the expertise and modernization of Jordan , Japan has been conducting training programs for Arab countries and Palestinians with Jordanian partners since 1992 in the field of electricity, information technology, vocational training, reproductive health etc. Japan is also conducting the programs for Iraqi people to help their efforts to reconstruct their country. Japan and Jordan share a common interest at humanitarian aid, and therefore Japan provided the assistance to the Hashemite Charity Organization in order to provide medicines and other medical goods in Iraq. Goods are used at Kadymiya Hospitals in Baghdad in Iraq. Jordan has hosted a total of 42% of Palestinian refugees (about 1.7million out of 4.1million) registered by UNRWA (United Nation Relief and Works Agency for Palestinians Refugees). "We would like to express our appreciation to the Japanese government and the Judicial Institute of Jordan (JIJ) for giving us the opportunity to attend a wonderful training course. This training course is very well organized and lecture of JIJ are excellent. I am sure that this training will be helpful for us to implement judicial reform in Palestine." 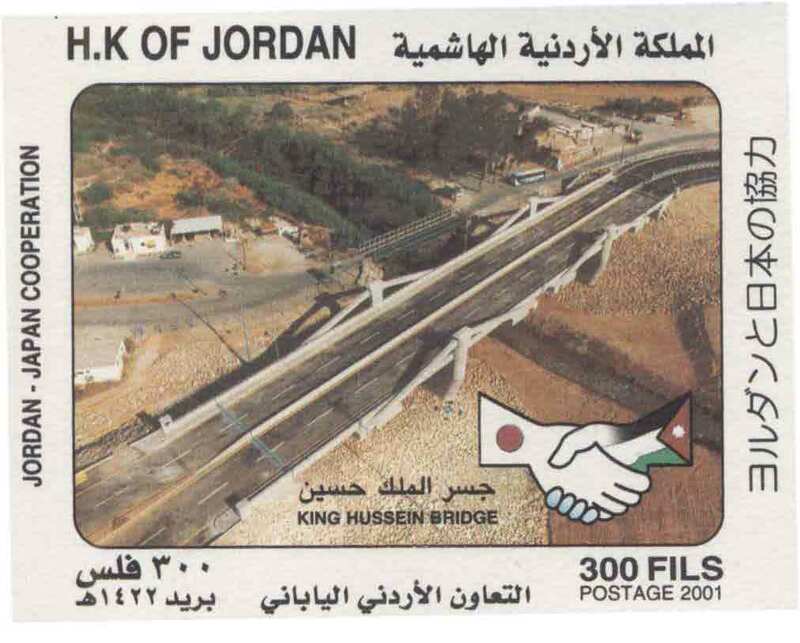 The Jordanian Government issued two kinds of commemorative stamps entitled “Jordan- Japan Cooperation” on December 2001 to express its gratitude for the Japanese economic assistance to Jordan . 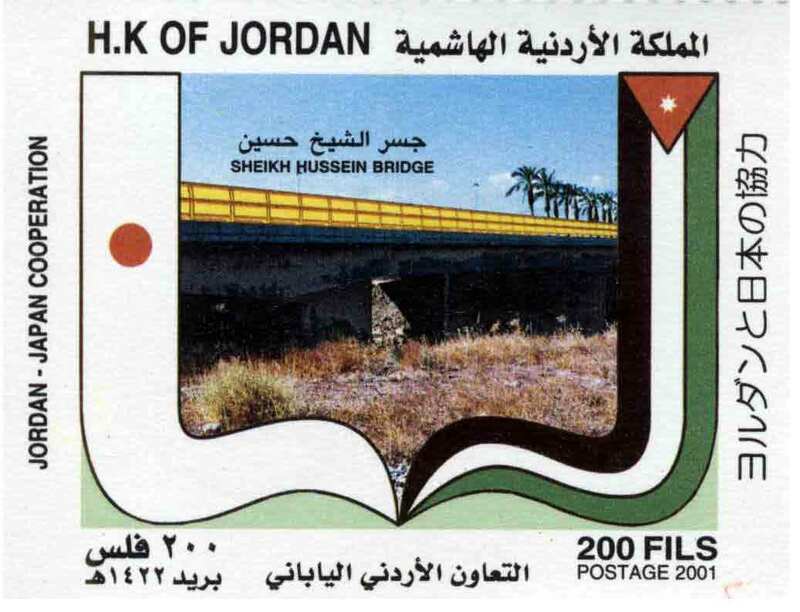 The Sheikh Hussein Bridge and the King Hussein Bridge were picked up as the design of the stamps. 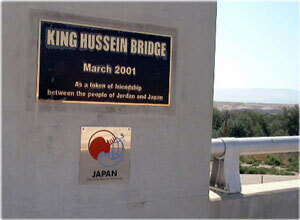 The bridges are widely known as the symbol of Japanese assistance project and impress Japan 's positive attitude toward the Middle East peace process.